Prosperity on an income of less than $15,000 a year? Tom Elpel proved that anyone can still live the American Dream-- to own a quality home free and clear of a mortgage! With few resources to start from, Tom and his wife squeezed $50,000 worth of benefit from a minimal annual income. With no house payment, low energy bills, and few other expenses, the Elpel's gained the freedom to do pretty much whatever they want, whenever they want too. 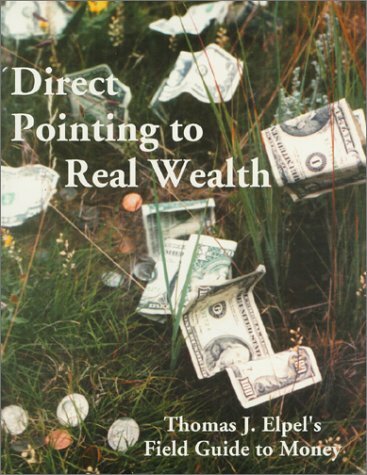 Direct Pointing to Real Wealth was inspired by Tom's interest in nature and his desire to show that it is more profitable to work with the environment rather than against it. Tom is also the author of several other books inspired by nature, including Participating in Nature, Botany in a Day, Living Homes, and Roadmap to Reality.